This organization is the largest publisher and distributor of free childhood cancer books in the country. Its books and materials are targeted at parents, young patients, siblings, educators, and caregivers. 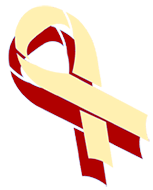 This is a great forum that offers a place for people with my type of cancer, as well as other types of cancer, to share their stories and offer some support and hope and comfort. As a nonprofit organization serving the entire United States and Canada, we partner with maid services to offer professional house cleaning for women undergoing treatment for any type of cancer. We provide free services to women with any type of cancer anywhere in the world. Every woman receives a handmade tote made by volunteers and filled with encouraging items. This public nonprofit organization provides hairpieces to financially disadvantaged children in the United States and Canada under age 21 suffering from long-term medical hair loss from any diagnosis. Free in-home-delivered meals for income-eligible adults and children. Available in most areas of the country. Some programs also offer other home-related assistance, such as grocery shopping. Moffitt Cancer Center in Tampa, Florida, has a lasting commitment to the prevention and cure of cancer, working in the areas of patient care, research, and education to advance one step further in fighting this disease. Each year, more than 4 million people in more than 20 countries raise much-needed funds and awareness to save lives from cancer through the Relay For Life movement.